A unique bioactive collage gel for rehabilitation and sport renewal. It is an active transdermal gel used for the regeneration and protection of tendons and joints, suitable for all skin types. It helps rebuild cartilage and tissue and provides long-term prophylaxis. It is a perfect addition to cure of dislocations, sprains, fractures, and degenerative joint diseases. It is recommended for use with iontophoresis and phonophoresis treatments. It effectively eliminates the problem of varicose veins. The product is completely hypoallergenic, is based on natural fish collagen and has a wide range of applications. Apply a small amount of gel to freshly cleansed skin (application is recommended immediately after a warm shower or bath) and pat or massage into the skin. Absorption time varies from 10 to 15 minutes. Once the gel has absorbed completely, a favourite cream or lotion may be applied. 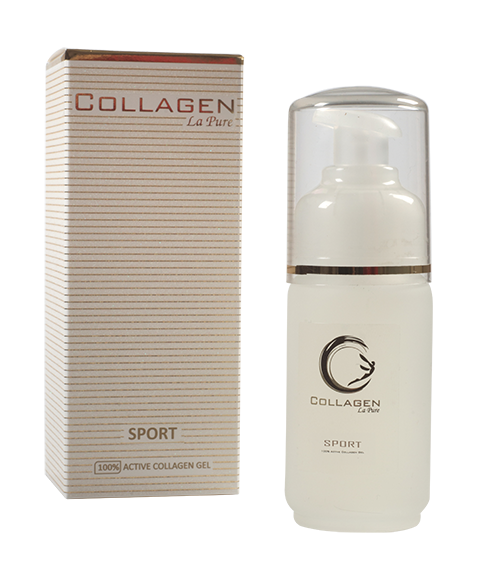 Available packages of Collagen La Pure Sport and Rehabilitation: 50 ml, 125 ml.